Real estate results are all about timing – getting properties in front of as many buyers as possible, as fast as possible. We can get the property listings on your real estate website uploaded accurately and efficiently, in bulk. That means you’re free to do what you do best – service your clients, and we can do what we do best – deliver a fully customised, clean, accurate and professional website, where your properties can be uploaded in bulk via an XML file, loaded just as you would into RealEstate.com.au. You don’t need to waste time and energy sweating the small stuff – your website is automated to do that for you. 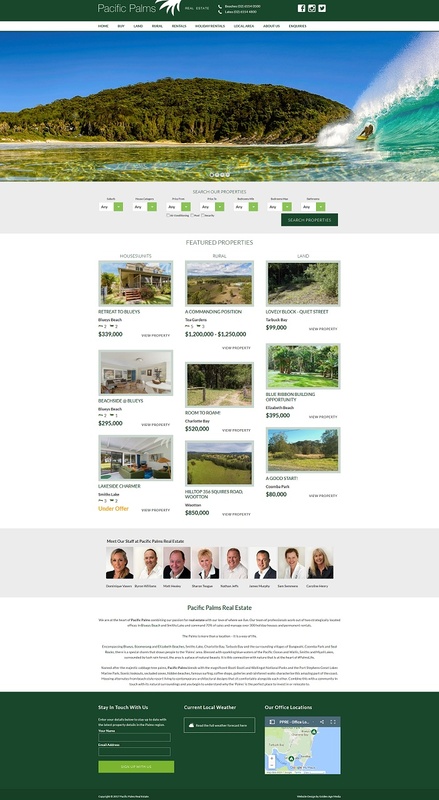 Our website design service means you can display your listings in a beautifully responsive list or grid format, customise the layout of your individual property pages and view all of it from your tablet or mobile. Even better – it’s completely 100% responsive to all mobile devices. Staff directories that feature individual profiles for all your agents. Want to spend more time selling? Want your real estate agency to be more productive and efficient? Here’s how – fill in the quote form below and one of our staff will get back to you as soon as possible. We’ll deliver the best website design, and you can get back to doing what you do best – your real estate business. You can register a domain name or purchase web hosting with us through our sister site BuyDomainsHosting.com. It's easy to use and 100% secure. If you have an existing site map or logo you would like to submit.